Top : Designers : Design Projects-Power : Hydrofoils Inc. Safe, environmentally friendly ferry system, utilizing long range, lightweight, hydrofoils with speeds that are compatible with auto, bus, and rail. Site contains many smaller prototypes as well as plans for thier larger counterparts. 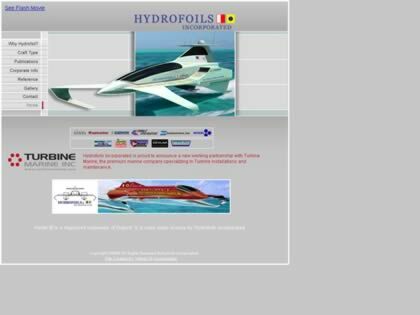 Web Site Snapshot: If available, above is a snapshot of the Hydrofoils Inc. web site at http://www.hydrofoil.com/ as it appeared when this site was added to the directory or last verified. Please Note that Boat Design Net has no involvement with the above web site; all content and images depicted in the above thumbnail are the property and copyright of Hydrofoils Inc. unless otherwise noted on that site. Description: Safe, environmentally friendly ferry system, utilizing long range, lightweight, hydrofoils with speeds that are compatible with auto, bus, and rail. Site contains many smaller prototypes as well as plans for thier larger counterparts.